Broadcasting, Radiocommunications and Television Concern (BRT) has terminated broadcasting of UA.First TV channel for debts, Director General of the National Public Broadcasting Company of Ukraine (NPBC) Zurab Alasania said on Facebook. He said that this morning BRT terminated UA.First TV channel broadcasting for debts that the government owes itself. NPBC in 2018 repeatedly called attention to insufficient financing of the channel. 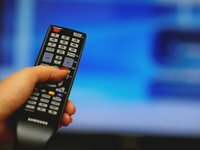 In July, 2018, UA First TV channel discontinued its analogue broadcasting in Kyiv and in eight cities due to the lack of funds.